Hotel prices increased in some of the most popular overseas tourist spots last year, a survey has shown. More than half (69) of the 116 cities surveyed by Hotels.com hiked their prices in 2013 compared with the previous year, reinforcing the importance of securing travel insurance which is both affordable and comprehensive. Seven cities saw their average hotel prices stay roughly the same, with only 40 recording a drop. Prices jumped most in percentage terms in the US city of New Orleans, which saw a 22% hike from £120 in 2012 to £146 last year. 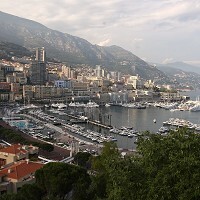 The most expensive city was Monte Carlo, where visitors faced paying £198, followed closely by Muscat in Oman at £194, New York at £185, Key West in Florida at £171 and Rio de Janeiro at £167. But despite the high prices in Rio, there was some good news for football fans planning to go to this summer's World Cup - hotel prices fell 5% last year. Phnom Penh in Cambodia is the best place to look for low-cost accommodation, with the average hotel room only setting you back £33 after a 16% fall in prices last year, while Hanoi in Vietnam saw prices dip 20% to £39. Asian hotels made up the bulk of the 10 least expensive places to stay, with seven entries. In Europe, Krakow in Poland was the best value for money, coming in at £62 on average, while London clocked in with an average of £121 in 2013, up from £110 the previous year. Kate Hopcraft, of Hotels.com, said: "There is no doubt that European hotel prices were some of those most badly affected by the economic fallout. The fact that the eurozone recorded growth for 2013 is evidence that the economic crisis is easing, although not yet completely over. "Many of the destinations worst hit by the downturn have seen hotel prices stabilise, with some experiencing healthy rises." She added: "Another phenomenon impacting global hotel prices is the huge rise in the number of sports fans travelling this year, with the Sochi Olympics and Paralympics in February and March and the World Cup in Brazil."